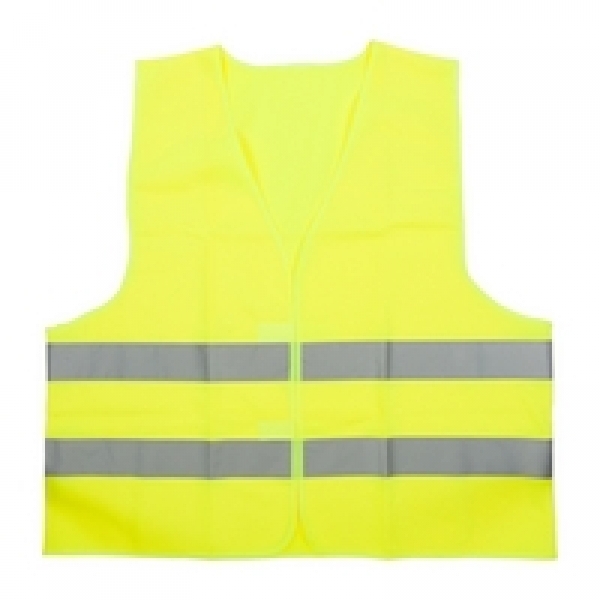 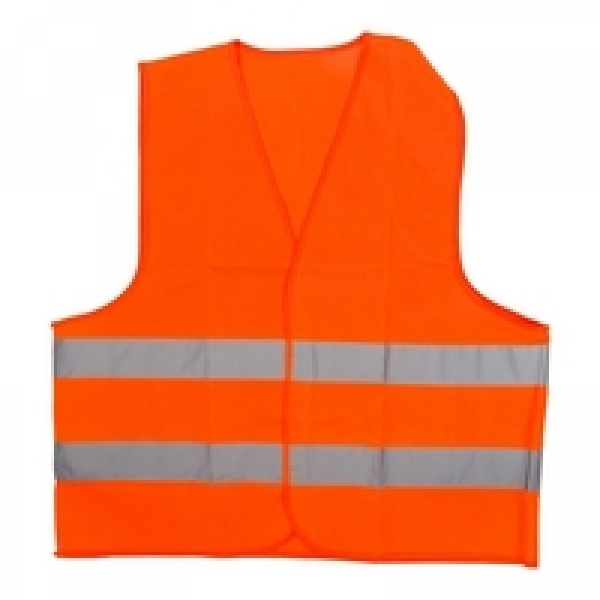 Safety vest, conform EN20471, one size, velcro fastening. 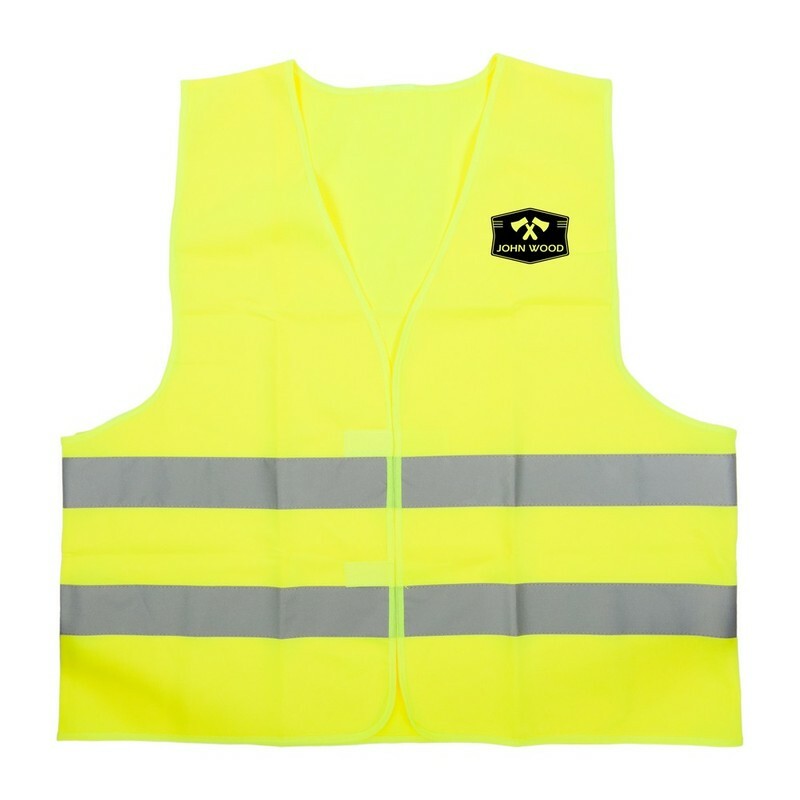 Your Logo printed for free in one color on the front left or printed on the back. Front print area 100 x 100 mm, 250 x 150 mm on the back.